This is a companion website to a NOVA television series investigating strange life-forms found in toxic caverns. 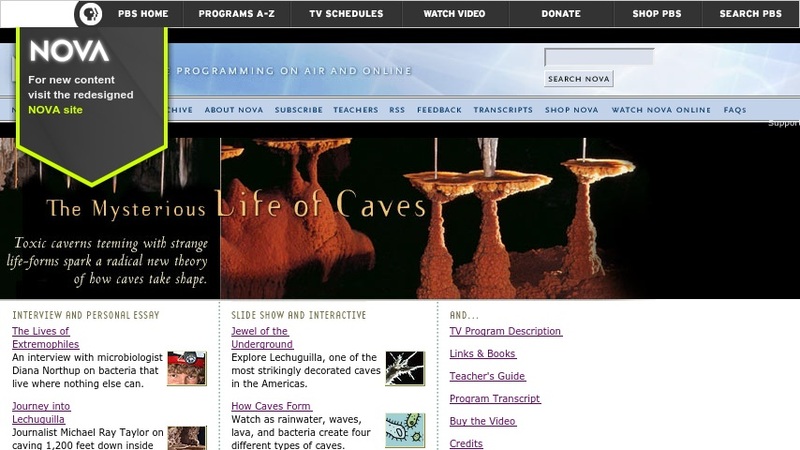 The program reviews the traditional theory of cave formation; introduces new theories of microbial sulfuric acid production; examines the role of oil-feeding microbes in dissolving limestone; presents the discovery of microbes in caves that live solely on chemical nutrients; and reviews other extreme environments. The site offers an interview with a microbiologist, an essay by a caver, a slide show of decorated caves, a teacher's guide including the classroom activity entitled "Microbial Townhouse," and interactive animation about cave formation. The video of the program may be ordered from PBS (Public Broadcasting Service), but is not necessary to complete the activites.